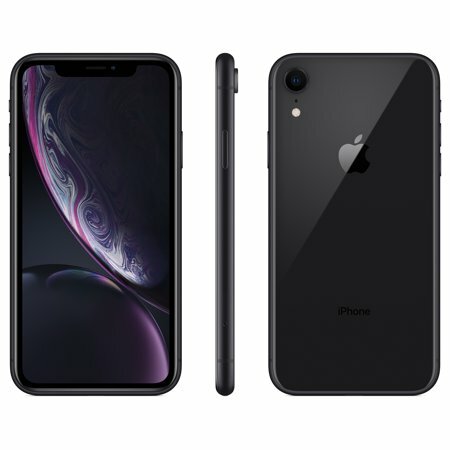 <p><b>NOTE: Sales of Prepaid Phones are restricted to no more than (2) devices per customer within a 21-day period (across Brands)</b></p>Straight Talk Apple iPhone XR: Brilliant in every way. All-new Liquid Retina display, the most advanced LCD in the industry. Even faster Face ID. The smartest, most powerful chip in a smartphone. And a breakthrough camera system with Depth Control. iPhone XR. It's beautiful any way you look at it. iPhone XR- Glad I decided to upgrade! Well, you could assume after telling you this is my first iPhone upgrade from the SE, that of course I would think it's great. But if it wasn't I would tell you as well. Albeit, a slight learning curve (which) should be expected. Face ID is awesome, the camera awesome, speed and battery also great. And to top it off, I was able to transfer my service on-line. Overall the iPhone XR is worth it's purchase price. It's just the right phone. Earlier I thought it would be too big, my friend has it and when I held it, it was the perfect size. The battery/battery life is AMAZING. The camera is beautiful, this Apple phone was worth all the money. If ur switching from an 8+ or lower, first phone and having a free choice, or switching phones, I recommend this phone, Apple did a magnificent job on this phone. I have always been an Android user and this is my 1st I phone and I Love it. The coral color is really awesome! I phone user forever. Thank you Walmart for the quick response. Hi. This is Arianne from Straight Talk Wireless. We are glad to know that you are satisfied with your purchase. Thank you for giving us a positive feedback. If you need assistance, please let us know. Have a great day! Works great! Fast 2 day shipping. Great phone, easy to use. Beautiful coral color! Accessories are nice and packaging in good condition! I love it! Hi. This is Arianne from Straight Talk Wireless. We are happy to know that you are satisfied with your new phone. Thank you for your purchase. If you need assistance, please let us know.